A small, new and latest but compact brand of Chevrolet in Pakistan is one of the rarely seen cars on the road. Available in seven different colors; silver, gray, white, golden gray, peach orange, pearl black and denim blue- it has power window (front), powerful AC and CD plus MP3 player (Remote Controlled). Not only the exterior but also the interior is very beautiful as displayed below. 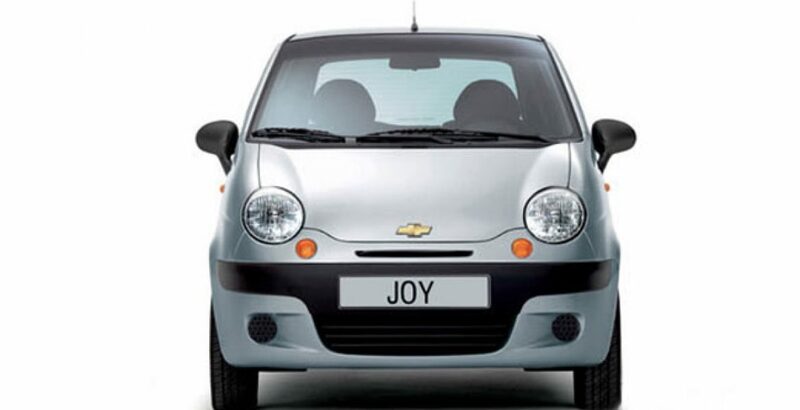 With power outside rear view mirror, Joy provides security to the rear seat people with seat belts. 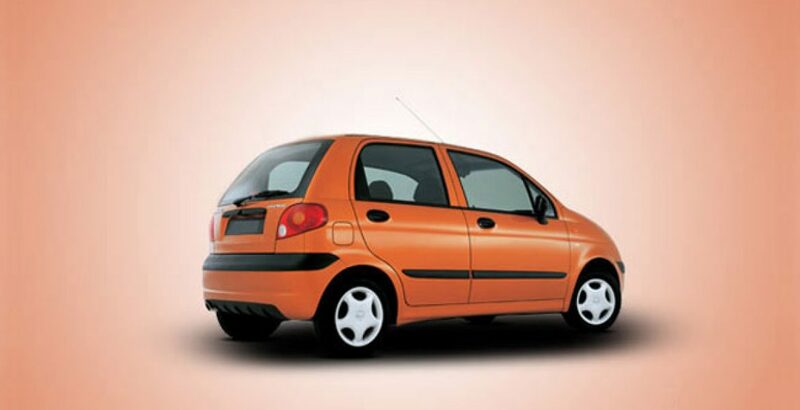 The body of this small car is very strong as the company uses 38% steel in it. It runs on the road swiftly and assists the driver with 5 speed manual transmissions. Here the rates or prices in 2009 in Pak currency or rupees of this beautiful car with picture, photos, review and specification or features are given. 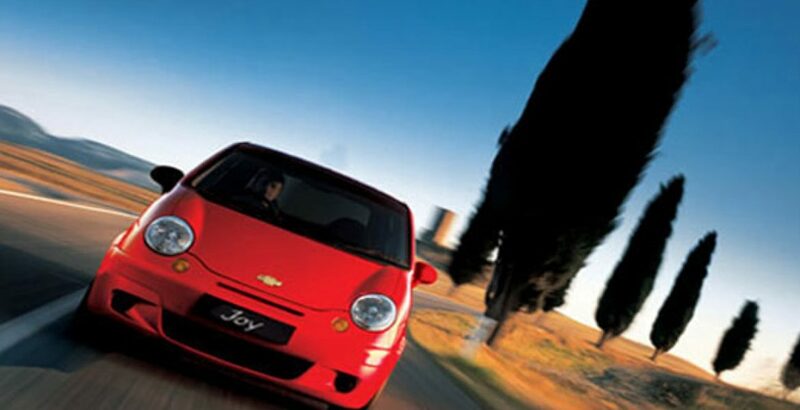 The Chevrolet has proved its engineering capabilities in putting powerful engines in such small stylish cars. 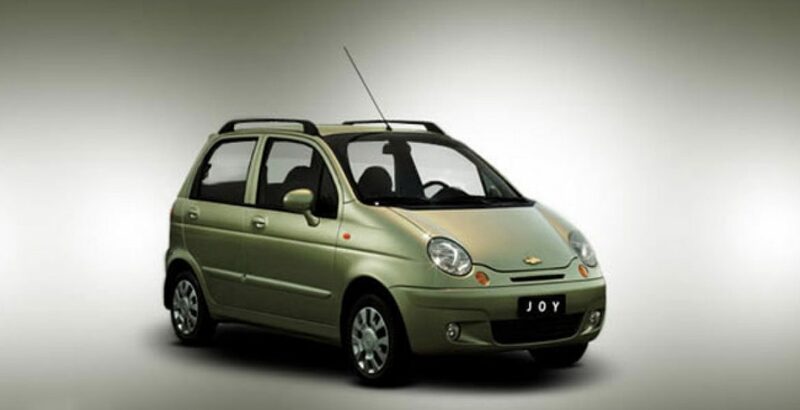 Chevrolet is considered as the pioneers of manufacturing smaller and most stylish auto mobiles. They have stunned the world by their efforts in implementing their expertise additions to such small and strongly reliable cars. 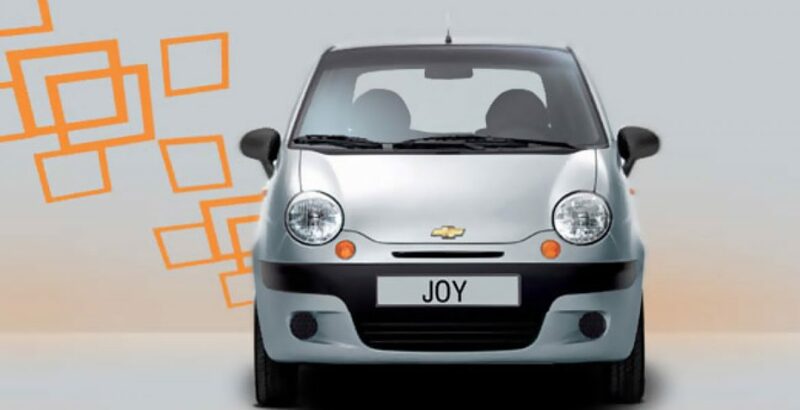 In terms of comparing and considering best reliable cars in Pakistan, the Chevrolet Joy is the best option. The car allows the mid ranged people to move on to some elegant and beautiful auto mobile from the Suzuki Mehran, which has the same old fashioned interior and exterior they have been providing since its beginning. The car is much better than other similar priced cars available in the market. The final conclusion can be narrated as the best smart car with affordable price along plenty of efficient functionalities.